We did it! Despite the fact that Przemo caught a cold and a short sleep (we woke up at 3:30), 300 km route by car in the mists we presented in Tomaszow in the morning and took part at Dog Orient. 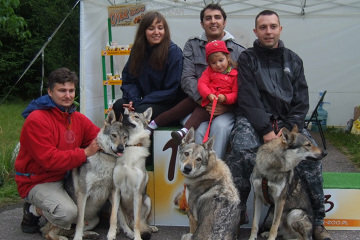 We managed to take first place in the family category(because our pack is a family). Impreza super zorganizowana, trasa przepiękna. 28 km (trochę zabłądziliśmy) przez łąki i lasy, błoto i bagna, a nawet 355 metrowy schron kolejowy dla pociągu sztabowego III Rzeszy. We (Ula and me ex aequo) won the fitness category (13km). And here comes another huge success and next victory of Amber Wolf z Peronówki. 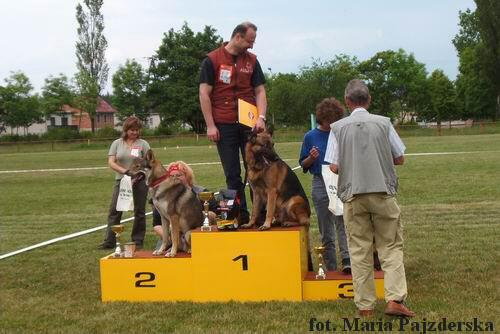 This time it is the first place in the class 'Obedience 1' during the Polish National Obedience Competition in Antoniek. CONGRATULATION! 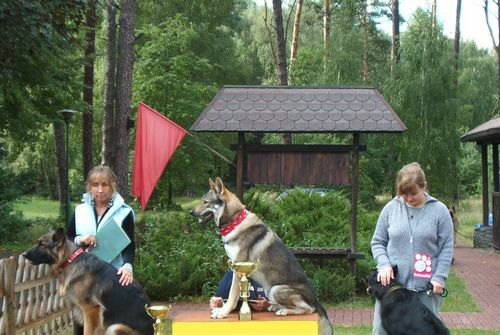 Ela and Amber were very successful during the National Obedience Competition in Ryczywol (PL) - they had 194 points (of 200 possible) in the Obedience 1, note "excellent" and... second place on podium. Congratulations! This year's 3. 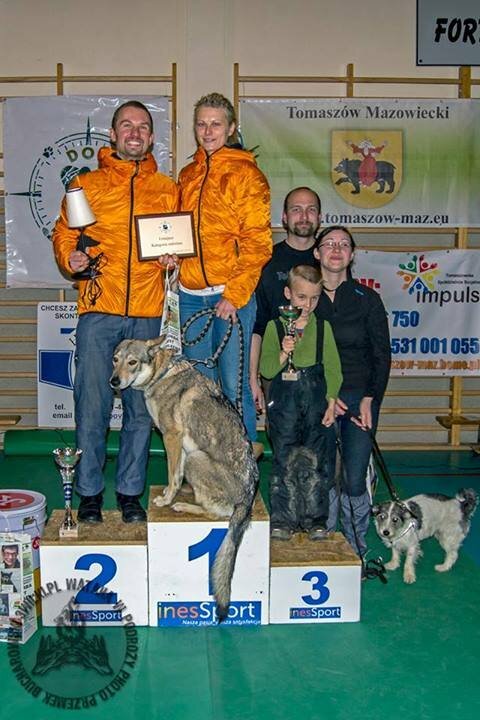 Christmas Competition in Hradek n/Nisou (CZ) won Amber Wolf z Peronówki. Congratulations! !